Werdsmith turns your iPhone, iPad and Apple Watch into a portable writing studio, so you can write any time, any place. 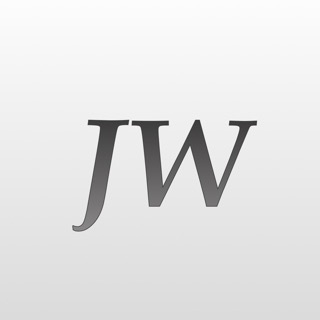 Hundreds of thousands of writers rely on Werdsmith to capture their ideas and work on their novels, screenplays, stories and articles. Join us! Don't limit yourself to writing at your desk. 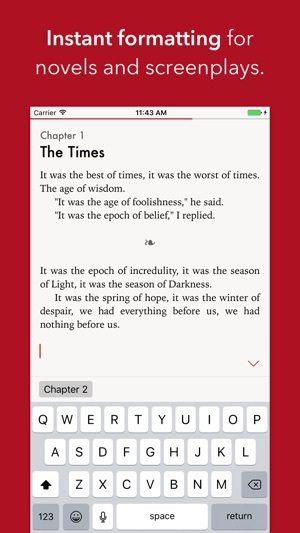 With Werdsmith, your writing is always at your fingertips, in sync between iPhone and iPad. Write in your downtime, outdoors, anywhere you are. You'll be writing more often than you ever have before. Sharing is built into Werdsmith, so you can get feedback from friends, show the whole world what you're working on via Facebook and Twitter, or create your own's writer's portfolio. You choose exactly what people can see, and everything else is totally private. Make Werdsmith truly yours with five custom themes and tons of formatting options. 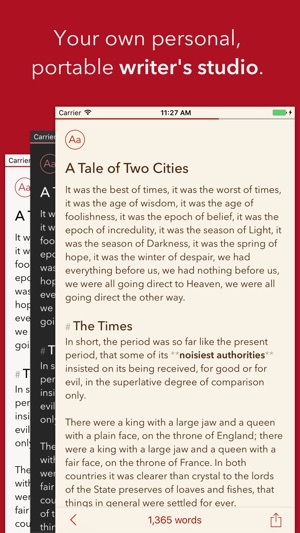 Add bold, italics and headings as you type, or use one of our powerful novel-writing or screenplay-writing tools that automatically make your work look beautiful. Set writing rituals and word goals to motivate you, and see how much you write every day. It's the easiest way to get into a writing habit, improve your skills and complete your projects. Warning: It's addictive! 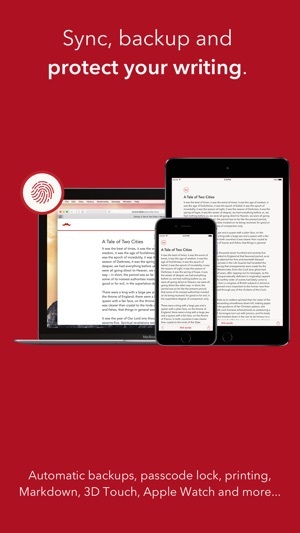 All your work is backed up in the cloud, protected by your Face ID or Touch ID and saved in Werdsmith History. Werdsmith is the safest place for your writing. 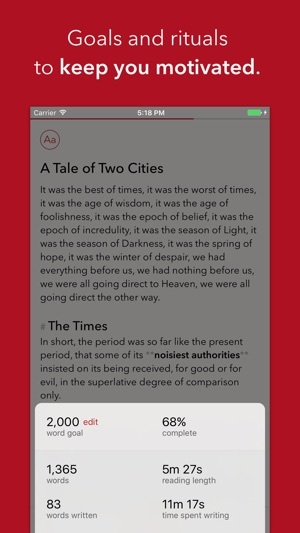 You won't find a simpler, but more feature-rich writing app. 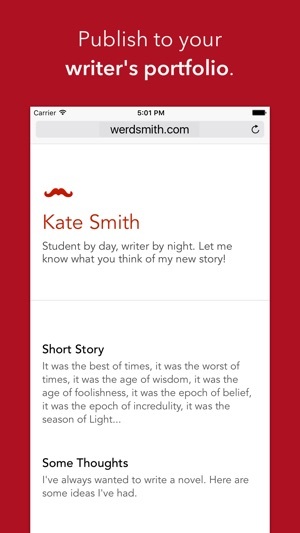 Whether you use Werdsmith to jot down ideas or to write your fifth novel, there’s no better tool for writers. Join us and start your writing journey today. The vast majority of Werdsmith's features are free, but there is a limit to how many documents you can work on at once. You can remove the limit by becoming a Werdsmith member. 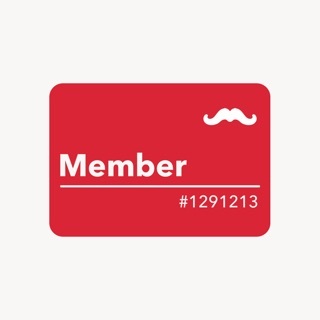 Membership gives you other benefits too, like four extra themes, novel and screenplay writing tools, Werdsmith on your computer, and hundreds of writing prompts in the Unblock app. Sync, backup and sharing features require a free Werdsmith ID. A big thanks to the writers who've supported Werdsmith over the years! We couldn't do it without you. This version removes the Facebook Login option. If your Werdsmith account is connected to Facebook, just check that your account email is correct on the Account page. Email is now the only way to log into your Werdsmith account, so it's crucial your account's email address is correct if you ever lose or change your device! If you need help logging in, just check the Help section. I would like to start this off to say, how this app has encouraged my love of writing into a passion. I am very glad I downloaded this app when I had the chance. Even though, I’ve had Werdsmith for less than a year, I still adore it. I used to not even know how to properly use a comma, semi colon, nor have a A in my English class. My favorite part of the whole set up would have to be, how you distinguish ideas and projects into separate categories. Love it! It’s to die for, therefore I am that type of person. 😂 Anyways, even though I did give you guys a five-star rating, I hope you wouldn’t mind if I made a suggestion. I know a heap load of apps have this nowadays, and was wondering if you could add an (a free) nighttime theme. That would help out a lot. I normally write later in afternoon when I have the chance and it’s almost blinding to look at a full out white screen. Now, I know you have different themes, but I don’t want to spend that type of money. I simply have the free version. I hope you guys take my commentary to consideration. Thank you, have a good day and or night. Hi, thanks for taking the time to write your review and we're glad you're liking the app! To answer your question about who the membership is benefiting, we personally believe that both parties benefit. The membership allows us to continue working on the app so that the user has a product that is constantly evolving and improving. Without our subscribers, we wouldn't be able to spend as much time improving it, updating it with suggestions made by our users and providing customer support. Thanks - Nicole. I am going to leave what I originally wrote just so people can see why you responded but I would like to follow it up. The restore purchases thing did work. The app is now working correctly with all of my features restored. Sorry for the knee jerk reaction. 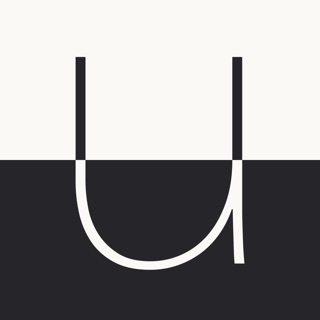 I love the app and would highly recommend it. Also thank you for the speedy reply. I really do love your app and use it for everything from list making to novel writing and everything in between. Werdsmith has helped me so much as I pursue my love for writing. It's like having a little computer on my phone! I travel a lot, so it's been really nice to be able to use my phone instead of lugging around my laptop when I just need to pack light for hiking or something. If you're a writer, I greatly encourage you to get Werdsmith. The thing that makes me frustrated, though, is that if you're planning to actually write an entire novel on werdsmith, you won't be able to go over about thirty thousand words before this happens: every five minutes or so, it will lag, then freeze, then and crash. And the longer my novel got, the more often this happened. Now, on the tail end of my first draft, it crashes about every sixty seconds, so I guess werdsmith just didn't believe that their users would ever actually write novels, because no matter how many updates come out, the problem is never fixed. And also, the membership costs to add themes and take off the writing limit? That is just frickin ridiculous.